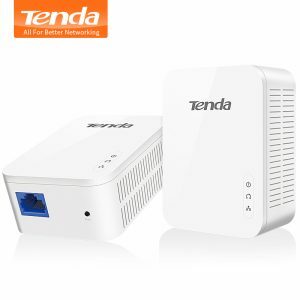 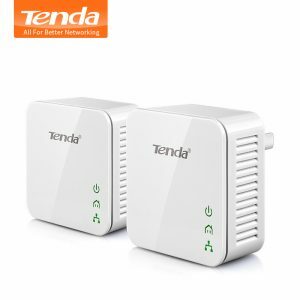 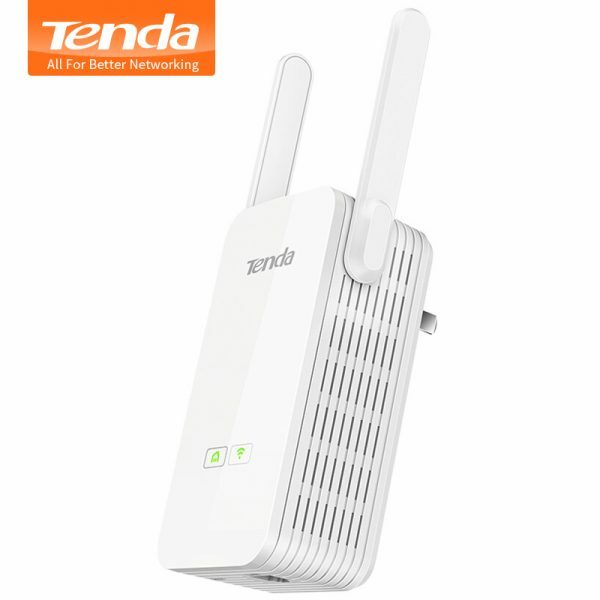 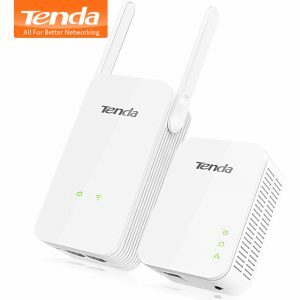 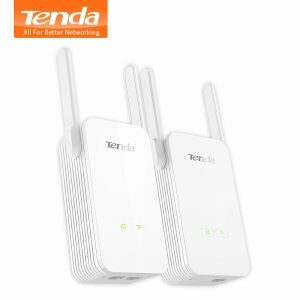 Buy Tenda PA3 1000Mbps Wireless Powerline Adapter, PLC Ethernet Wifi Extender, Compatible with PH3/PH15, Plug and Play, Homeplug AV2 - In Stock Ships Today! 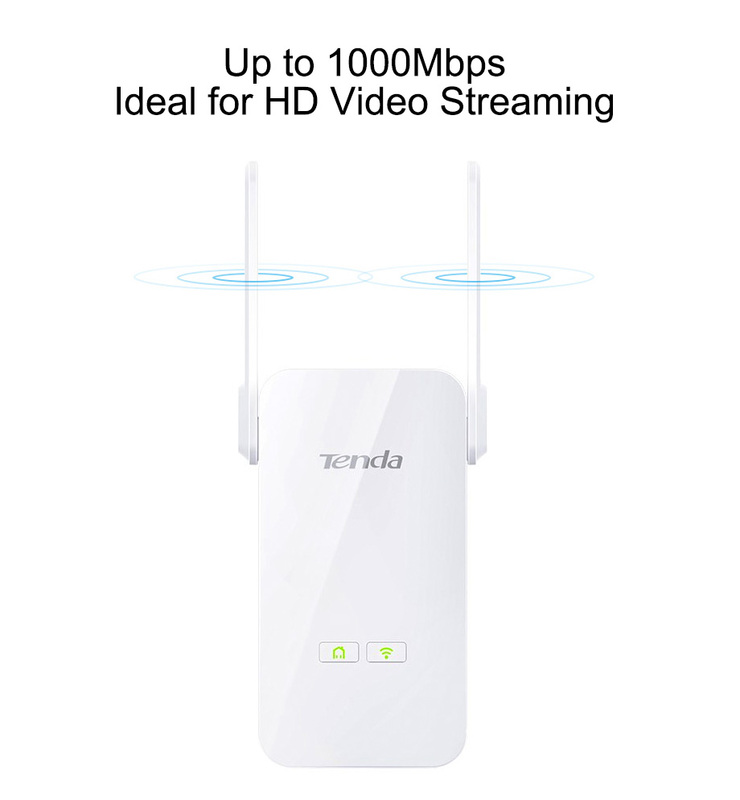 Purchase this product now and earn 152 Points! 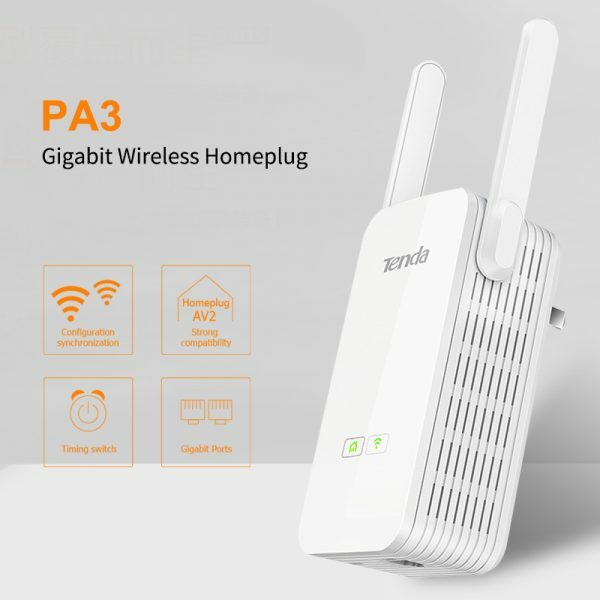 Comes with the latest Homeplug technology, PA3 can provide up to 1000Mbps powerline speed and 300Mbps wireless transmission rate which is perfect for your home entertainment companion. 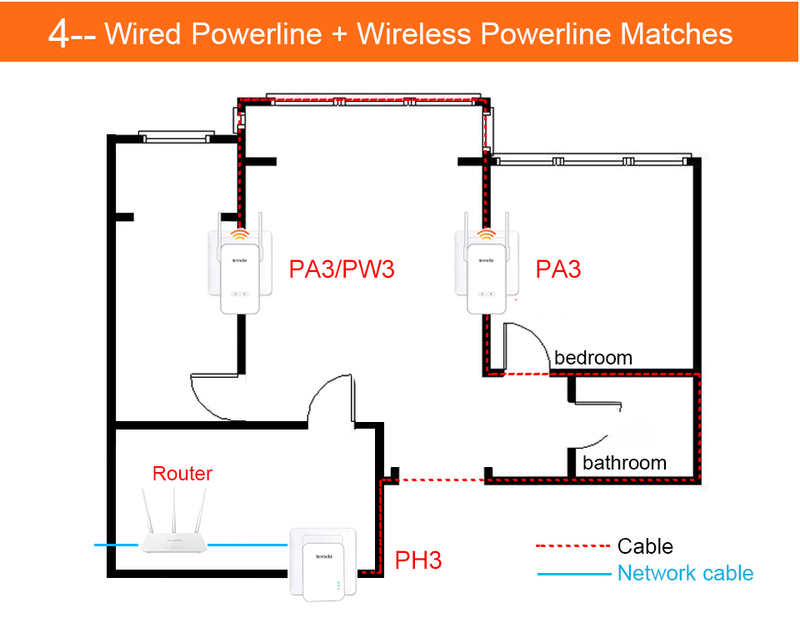 Since Wi-Fi is transferred by powerline, you can enjoy HD movies and online gaming to every room. 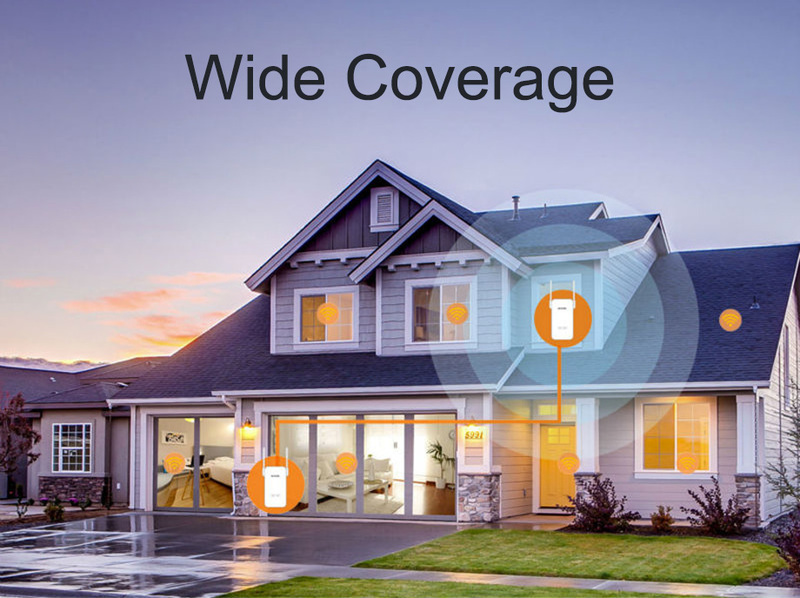 What is more, you can enjoy seamless wider Wi-Fi just by pressing Wi-Fi close button. 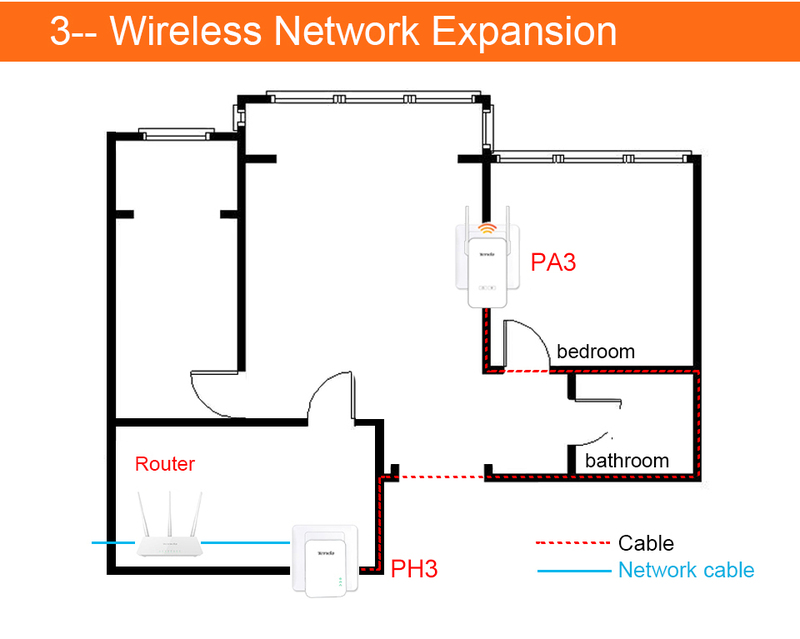 Easily extend Wi-Fi range at a push of Wi-Fi clone button. 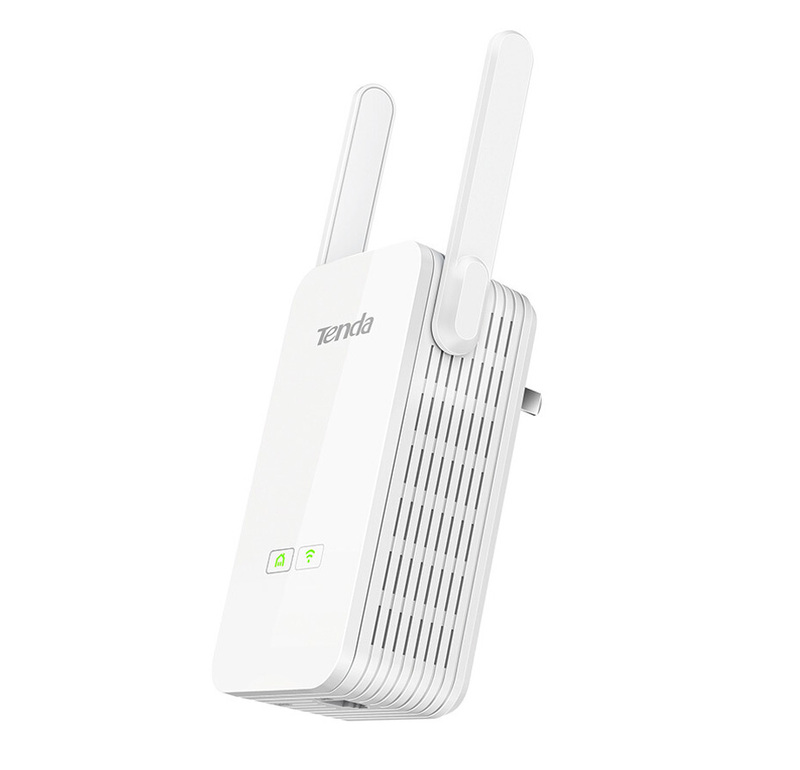 Considerate smart Wi-Fi Schedule can turn on/off Wi-Fi automatically . 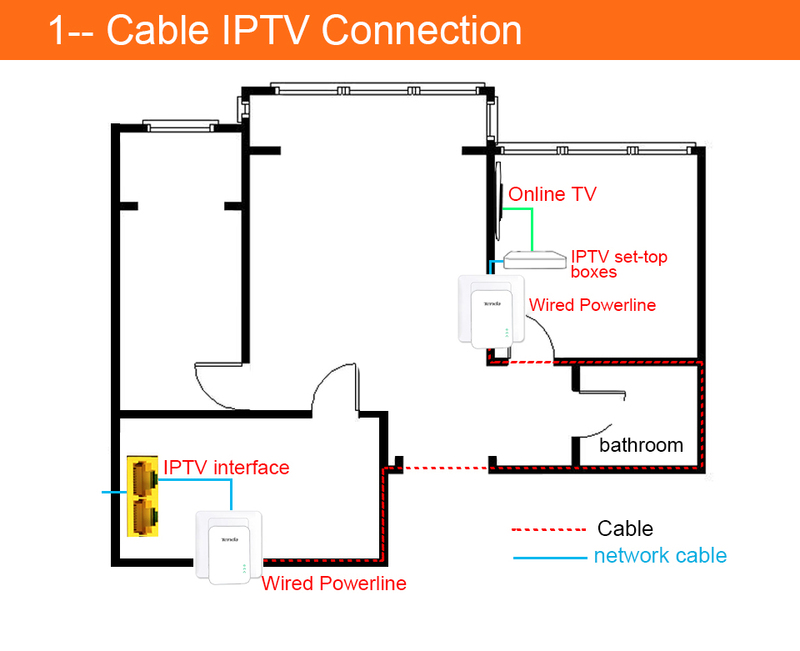 Compliant with HomePlugAV2 and IEEE 1901 standard, downward compatible with HomePlugAV standard. 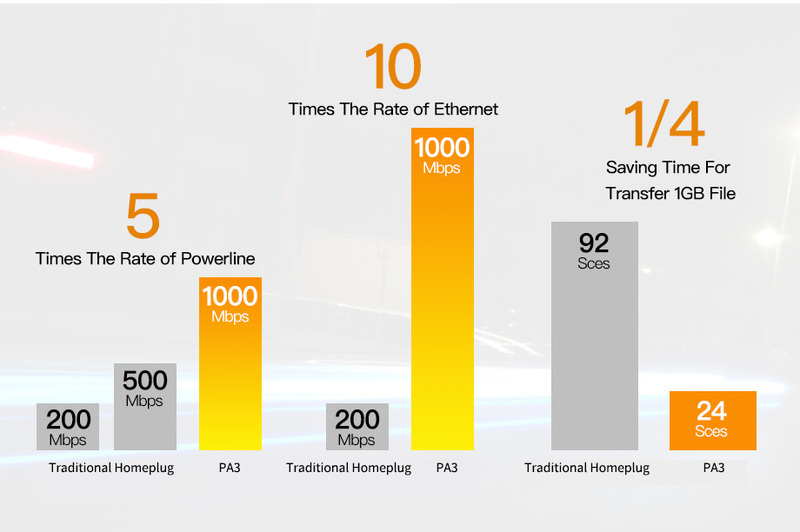 up to 1000Mbps on a line length of up to 300 meters. 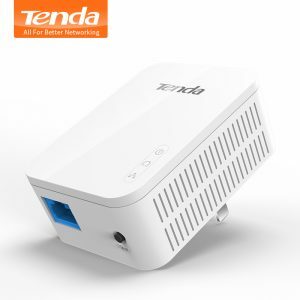 game consoles to set-top boxes for IPTV and NAS hard drives. 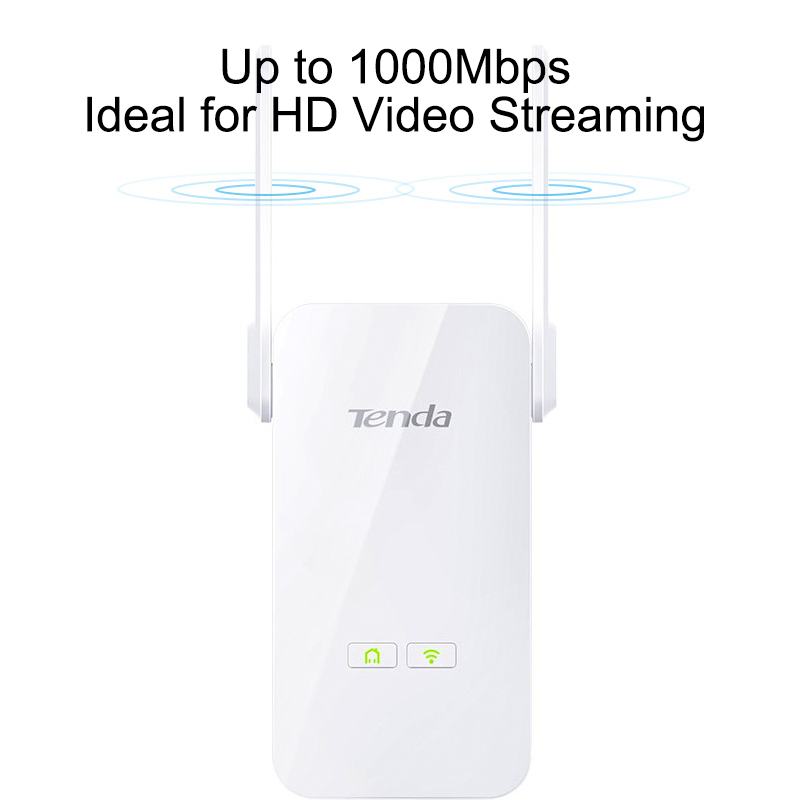 transmission rate and 300Mbps wireless transmission rate. 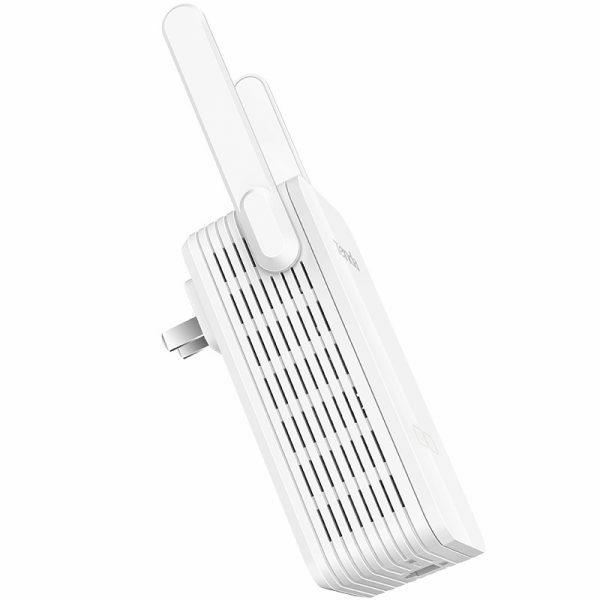 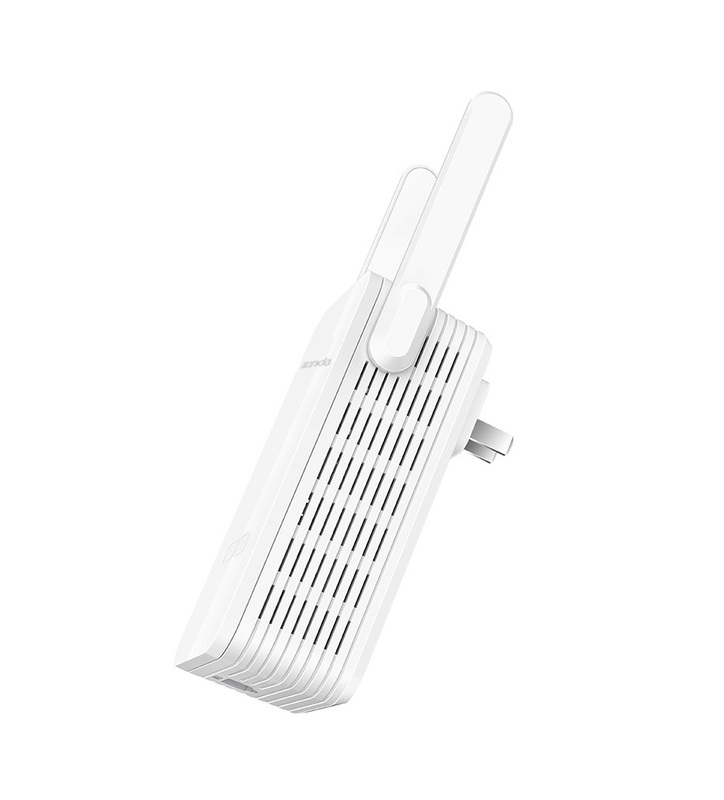 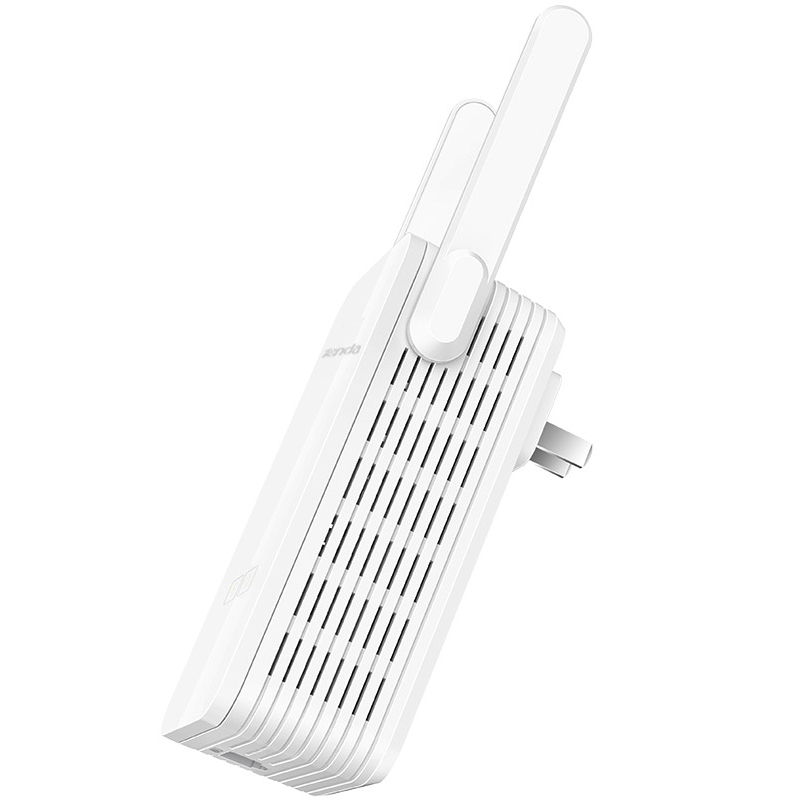 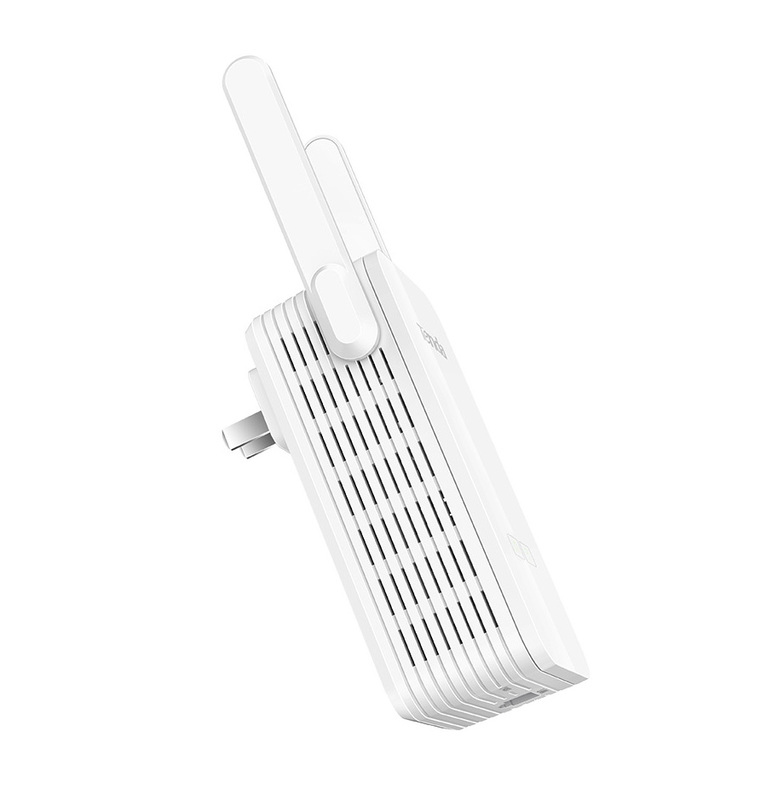 The PA3 is inserted into a place where WiFi needs to be expanded without any setting. 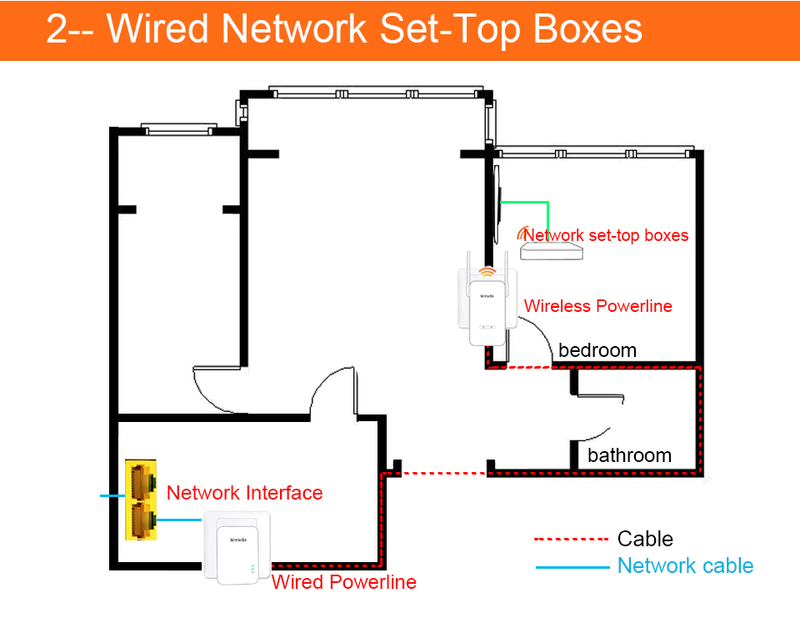 and build a wireless network with the same name and password as the router. 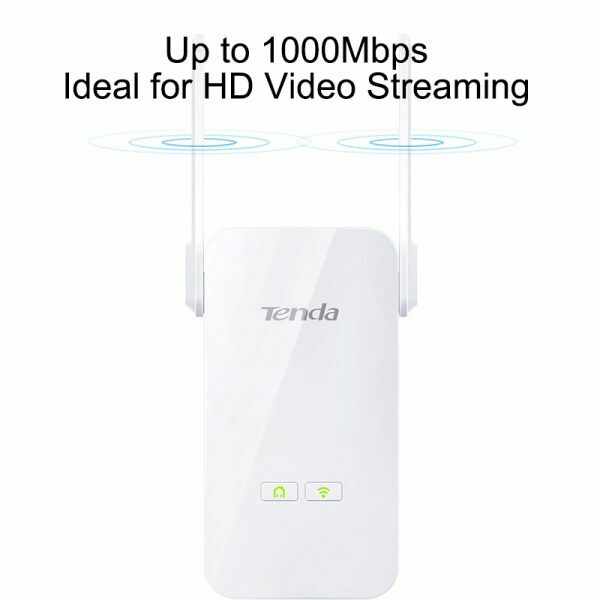 you can effortlessly extend your Wi-Fi network by the powerline ,and broadcast a wireless signal to share with all your Wi-Fi devices in another area of your home or office. PA3 uses wireless design with low transmitting power and high reception sensitivity to achieve the green home network coverage effect. 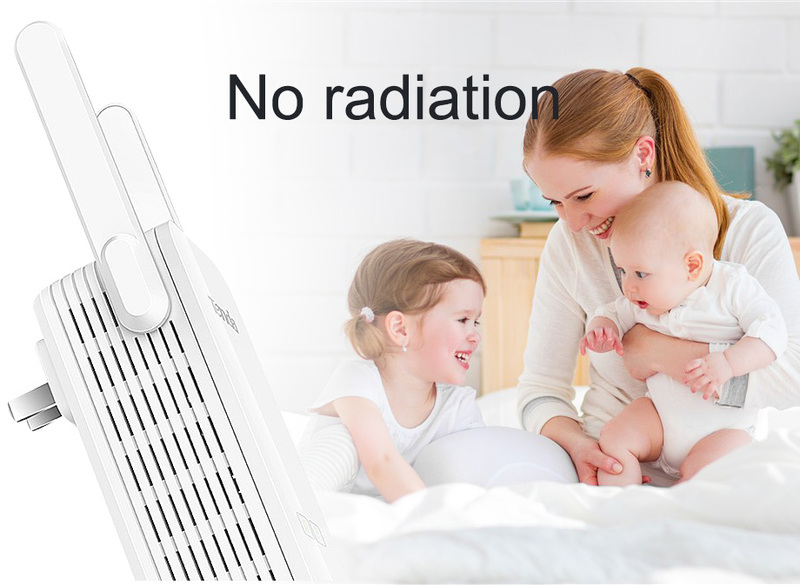 More intimate Wifi timing switch function andexternal key WiFi switch, provide a safe and healthy family WiFi environment for mothers and babies. Tenda PA3 can compatible with PH3 and PH15. 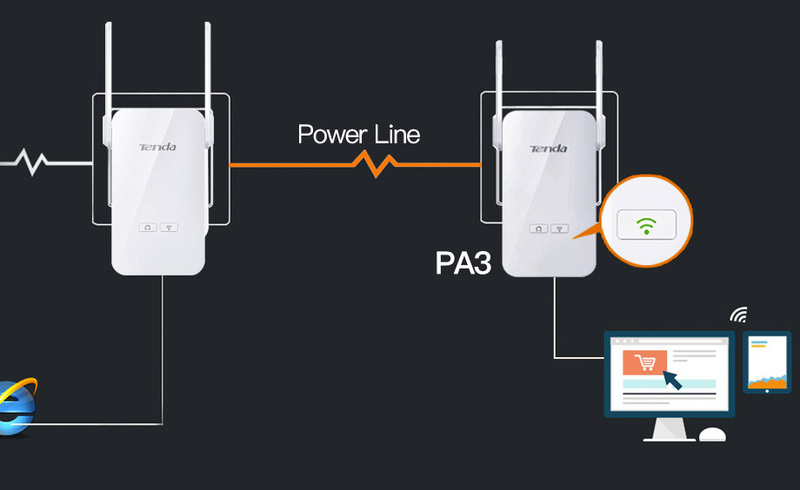 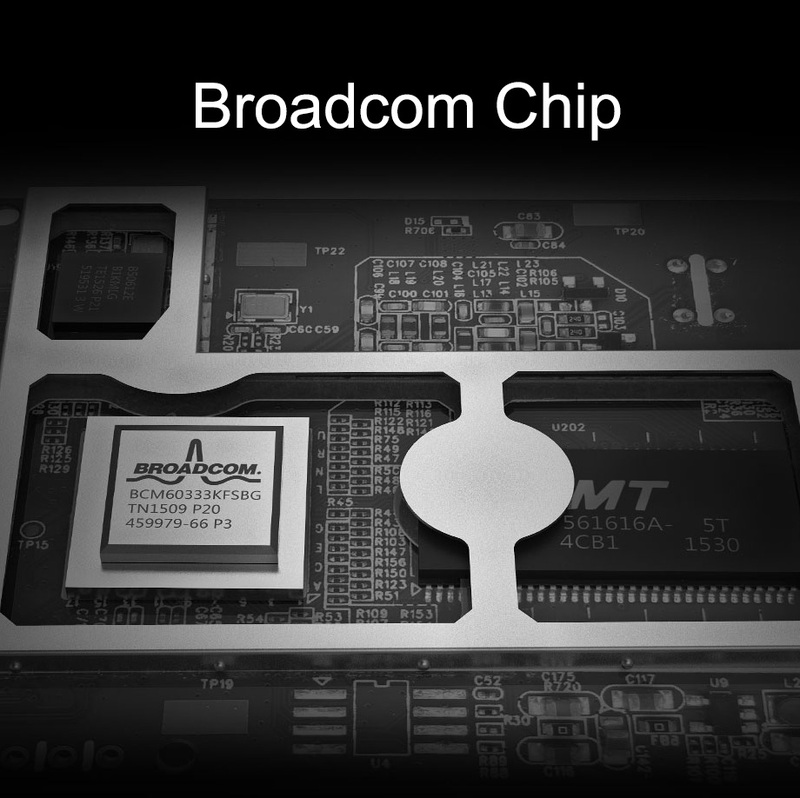 And it will work as assistant to extend your network when connected with PH3 or PH15. 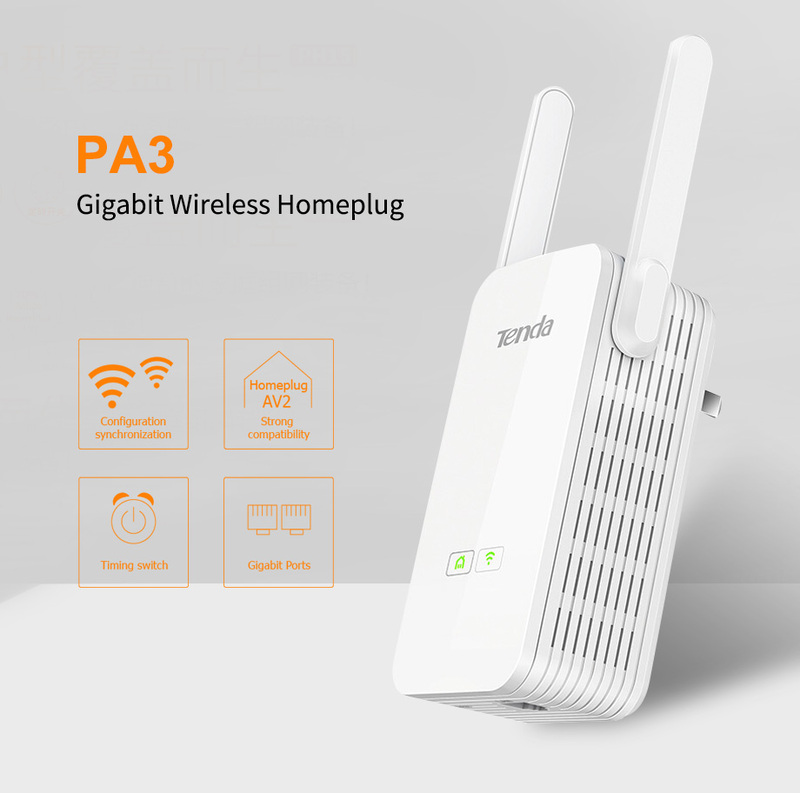 Please noted that there only Chinese interface for PA3, and we will send the guidance to you, it is very easy for the setup.